Okay, so there’s a small catch, but still, getting a free first class upgrade on your next flight is pretty awesome in our book. For those who have been fortunate enough to travel business class in their lives, they’ll tell those not so fortunate one thing: it will ruin you. What they mean is, once you fly business class once, it becomes painstakingly harder to go back to flying in economy. You’re almost better off living in a world of ignorant bliss – with your dodgy headphones and mid-flight crackers – with no comparisons to draw from. Can you imagine what it must be like to fly in first class? We’re talking hotel-style plush beds, plasma televisions and champagne and caviar on tap – it’s crazy. Some first class suites make business class feel like you’ve been tied to a pole, fed a bag of nuts and cheap, headache-inducing chardonnay. Well, you could be about to experience such spoils. The first class treatment, that is – not the headache. British Airways is offering flyers free upgrades to first class on flights to London; the sale it’s been known for in the past. And it’s back, and more appealing than ever. Well, obviously, with limited first class seats on flights, there has to be one. 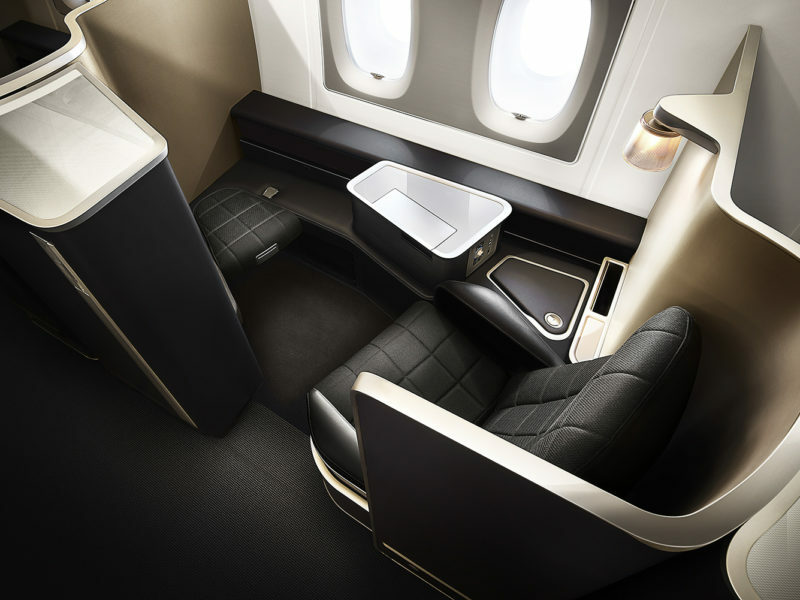 Guests are eligible for a one-way complimentary first class upgrade when they book return Club World business class flights to London (exit Sydney) on ba.com (from AUD$7,717*). The British Airways first class experience includes the privacy of your own seat, with a fully flat bed, an extensive a la carte menu designed by leading chefs from around the world, and a fine selection of wines and champagne to choose from. You’ll also feel snug in a pair of wonderfully soft cotton pyjamas and sink into a quilted mattress for a great night’s sleep. Customers are also entitled to a complimentary chauffeur service to or from Sydney International Airport. Better still, all ‘premium’ customers arriving at British Airways’ home at London Heathrow Terminal 5 can enjoy BA’s arrivals lounge facilities, including showers, breakfast and complimentary Elemis spa treatments. Plus, there’ll be champagne at the exclusive Galleries First lounge prior to their departure. 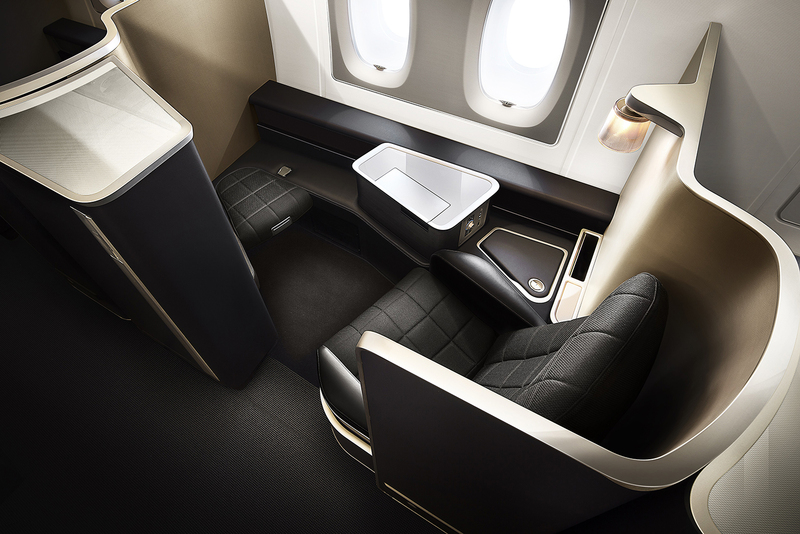 Free upgrades to first class one way when you book return Club World business class flights to London from AUD$7,717*. Available on bookings until April 12, 2018. Valid for flights departing Sydney from May 01, 2018, until July 31, 2018. All fares are inclusive of taxes, fees and charges if booking using a debit card, as quoted on March 27, 2018. British Airways is investing $8.2 billion in its economy facilities on 128 planes in its fleet with new interiors, improved Wi-Fi and power sockets in every seat.